If you’re reading this, then you either want to be introduced to the backpack game, or you want to improve your backpack game. Either way, we don’t blame you. A good backpack is a staple for any man, let alone one that travels. Whether it’s just for a day trip, or a long hike, choosing the right backpack can really bring some order and convenience to the way that you function on a daily basis. You can pack your life into one. We mean it. This Oakley Mens Kitchen Sink Backpack is literally built to be versatile enough to suit any situation and hold anything you’d like. In this article, we have gone and found a variety of the best backpacks for men, so that you can pick your favorite. Whilst we were at it, we decided to throw in top buying tips, top packing tips, and more. What’s the difference between a backpack and a messenger bag? How did we choose the best backpacks for men? Similar to when purchasing a gym bag, you need to look out for a list of things that can influence what backpack you buy. Really, we just want you to take a look at this list to guarantee that you get a backpack you’ll love for months and years to come. Similar to almost any other fashion piece, comfort is the most important. That is to say, you don’t want a backpack that’s uncomfortable. 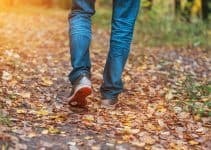 That may sound obvious, but we see too many people going ahead and buying a good looking backpack without any regard for how it actually feels on your back. If you’re a busy man, then you want the best quality backpacks that sit on you as if you’re wearing nothing. It sounds silly, but the backpack you choose to buy today may not pay off in the future. Your back is vital, and you don’t want to risk hurting it by lugging around your daily things in a painful backpack. To get a backpack that is comfortable, you need to look at getting one with carefully designed compartments, one with great weight distribution and one with good material and thick, comfortable straps. Fortunately, most backpacks these days are produced with comfort in mind. No one wants their name tarred with customers getting injuries. We’ll get to the material part in a second, but as long as you look out for the other factors we mentioned, you’ll do good. Getting a backpack with the best materials ensure that you’re going to have it in top condition for years. The materials on a backpack can differ – from the outside to the mesh, to the zips. Leather backpacks are luxurious. They look and feel expensive, smart and clean. It’s likely to last a long time and have a lot of durability. However, they’re likely to set you back a bit of cash, especially compared to a regular backpack. If you’re looking get one of the best men’s backpacks for work, then a leather one could be absolutely ideal. It’s stylish, formal and has that classic scent we all love. Nylon is lightweight, but not as flimsy as you’d think. Some of the best backpacks on the market, like those by The North Face, make use of nylon material with their backpacks. Nylon typically has great waterproofing qualities, making it a great choice for those of you on the move outside. This is one of the most common materials found on a backpack. It’s cheap to source, durable, water-resistant and has a decent resistance to UV degradation. Polyester backpacks are typically the more affordable ones, but they may not be the greatest choice for those of you that are prone to throwing it about and truly testing the durability of your pack. Durability is a highly important factor, and definitely one that you should be looking at. For a backpack to be durable, it needs to be made to last. 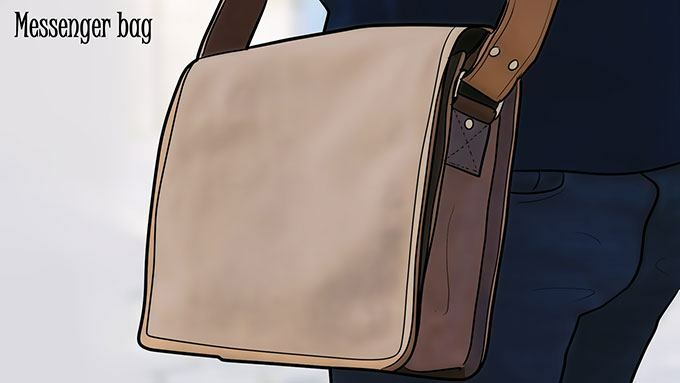 Unless you love throwing money around, you would expect your backpack to at least last a few years – for some of the more impressive bags, you could even be looking at 15 years. So durability is key when looking to buy a backpack. You’d rather invest in the next 10-15 years then keep having to pay for new ones when the straps or compartments break due to poor build quality. 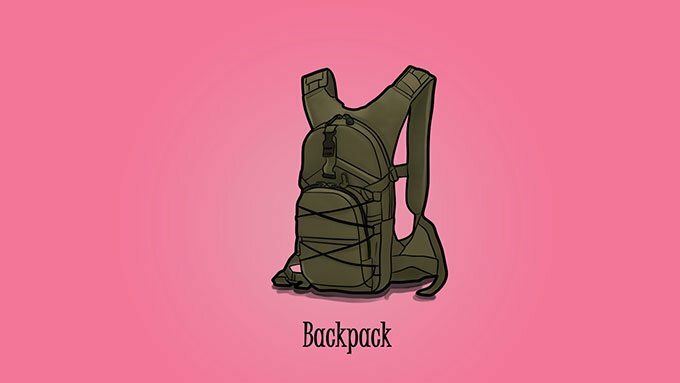 One of the most common faults with backpacks is that the shoulder straps will tear, and zips will become stuck or broken. Heavy-duty backpacks, like described above, will be built using nylon material, padded shoulder straps and secure zippers that won’t get stuck or snap. Another key component of a durable backpack is whether or not it’s waterproof. The reality is, you’ll more than likely be wearing your backpack in all-weather conditions. Unless you live in the middle of the desert, you’ll experience cold, rain, heat and hail in the time wearing your backpack. Backpacks can be as stylish and as comfortable as they like, but if they get your things wet, then it’s probably not one that’s perfect. We try to include whether or not it’s waterproof in our reviews later on. Of course, you need to look for a backpack that suits your purpose. What do we mean? Well, if you’re just on the move between work and home, then you probably don’t want a backpack that is primarily produced to survive a week-long hike up Mount Everest. On that same note, you don’t want to be stranded on a trail with a backpack that’s stylish yet horrendously uncomfortable. You think about your primary purpose before you go ahead and purchase your backpack. If your everyday use is going on walks and long treks, then you’ll want something that’s suited for that purpose. If your everyday use is going to work, then you’ll most likely want one that’s stylish and sleek. Long story short, you need to ensure that your backpack is worth the investment by getting one that suits your everyday routine. Keeping an eye on the weight of a backpack is something that all men should do. Yeah, you may feel like you’re strong enough to carry any backpack, but you don’t want one that’ll weigh you down too much. After all, if you’re on a hiking trip, then carrying a heavy backpack will only increase the overall load you’re carrying. You owe it to yourself to ensure that you get a backpack that only weighs an amount you can carry comfortable. The weight is also interchangeable with the size. Heavier backpacks are likely to be bigger, and this is another important factor to consider. After all, if you’re just looking to be carrying out enough stuff for a day or two, then you probably don’t need one that’s huge. However, you’d want a massive backpack if you’re a man that needs to carry his laptop, camera and multiple layers of clothing around in it. The entire point of having a backpack is so that you can be on the move with as much style and comfort as possible. To have a backpack that’s sleek, form-fitting and stylish is something that the majority of us long for. A few things to look out for include the color, the style, the straps and the compartments. 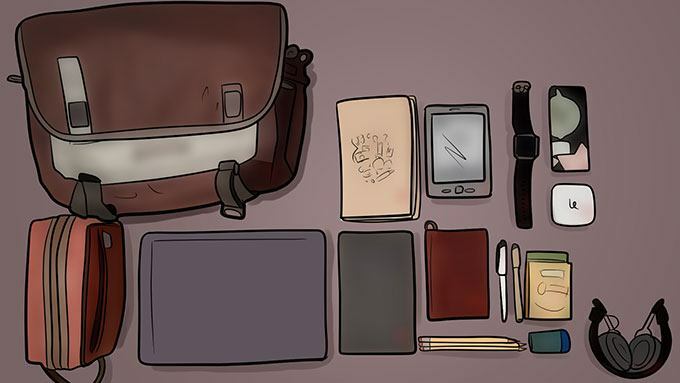 We mentioned compartments earlier, but this is an integral part of backpack design. Think about it, if you’re wearing a backpack to gym, or to work, or on a walk, then you’re likely to need different compartments for each different thing. For example, a well-fitted laptop compartment is going to be perfect for the average man going to work, and a drinks bottle compartment is going to be perfect for those on long-distance walks. However, the design is likely to be something that is very specific to the individual. We all prefer different styles and need our backpack for a bunch of different reasons and to carry a load of different things. With an impressive selection of brands to choose from, you can pick and choose whatever look suits you best. Accessories are largely luxury, but that’s not to say that you shouldn’t consider what ones you need before purchasing one. You may be looking for external pockets for your keys and phone, for example. This is an accessory that most backpacks have, but you still want to make sure before you go and buy one. A less common example would be external bottle holders. For the men out there that don’t trust their water bottles to not leak all inside their back, an external holder is the perfect solution. Unfortunately, not all backpacks accommodate an external bottle, highlighting the importance of at least considering the accessories that your backpack has before purchasing. Each man has a different budget. 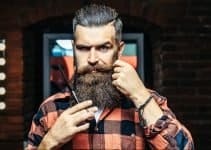 Some of you will be coming onto this article fully prepared to spend $500. Whereas some of you will be looking to go no more than $150. Both are fine. 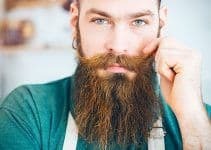 So why should you consider the price before purchasing? Because it can make a difference to the overall quality. It’s a common myth that more is better, but investing more money into a great quality backpack can definitely help you save money in the long run. If you think that a top quality backpack can last you between 10 and 15 years, then $500 really isn’t that much. On the contrary, buying a $50 backpack up to 10 times in 15 years doesn’t seem too smart, but can still have its benefits. To be blunt, it’s important to be aware that with backpacks you’re often paying more for greater quality, greater comfort and ultimately a greater investment. This is a backpack that is recognizable by almost any man used to being on the move. The North Face is an iconic outdoor brand that takes pride in proving how durable and weather-resistant they are. By investing in this backpack, you’ll ensure that you have quality in abundance with their lifetime warranty. They aren’t afraid to put their neck on the line, so if you ever have any problems, they’ll be happy to fix them free of charge. But what makes the backpack so great? Firstly, the straps are nice and thick. They are supportive and will not cause any discomfort. The last thing you need is to be stood up all day with straps causing itching or rubbing against your chest and shoulders, this backpack avoids it. You’re also presented with a backpack that has a carefully designed yoke. With a FlexVent suspension system, it creates a hold that is custom molded to your back and will never cause discomfort. Each of the compartments in this backpack are highly useful and perfect for clothing, hiking gear, work itinerary, lunch, and the list goes on. You’ve even got a highly protective laptop compartment that guarantees you won’t be getting home to an unwanted breakfast. For those men out there that like to keep their sunglasses, keys and wallets in their bag, then this one has got external pockets within easy reach. You’ll also be pleasantly surprised to hear that you can also make the most of double bottle holders – it’s up to you whether you use them for water or beer. Another point worth noting is that you’ve got a huge array of colors to choose from. Obviously, we all have our favorite colors, and our favorite outfits, so your pick will differ depending on your preferences. Fortunately, they’ve more than likely got you covered. The only negative is that some reviewers have found it to be not completely water-resistant, meaning it may not be ideal for outdoor winter trips, and you’ll likely be running for cover in the event of heavy rain. If you’re looking for the most durable men’s backpack, then you won’t go far wrong with this. With exceptional build quality and plenty of compartment space, it’s an accomplished all-rounder. When you’re looking for a new on the move backpack, you want one that’s perfect as an all-rounder traveling backpack. This one ticks all of those boxes. Made from some top quality nylon, it’s a backpack that is perfect for hiking, mountaineering or as a general travel bag for airport trips. The bag comes with lifetime warranty, and their “All mighty guarantee” confirms that you’ll get any problems sorted free of charge, regardless of when it goes wrong. We love lifetime guarantees, as it often means that they are confident in their product. We identify this as a perfect combination between a rucksack and a duffel bag – this backpack can be used as both. The shoulder straps and sternum strap can both be stowed away and then operates as a duffel bag with its side handle. Speaking of stowaway, this backpack comes with straightjacket compression, perfect for planes and cars. This allows you to compress the bag to a smaller, lighter carry when you don’t need the full kit. In terms of accessories, you’re looking at a sternum strap and a whistle buckle. If you’re out and about and need an extra bit of security, then both will come in handy for you. There’s a front panel organization pocket that’s designed for easy access. This means that you’re able to store your phone, wallet, keys and anything else that you need within a seconds notice. Sadly, with this backpack, you don’t get an external bottle holder. Not a deal breaker by any means, just don’t expect to have hands free Bud Light carry on your travels. You’re also afforded the luxury of being able to choose what size you purchase this backpack in. Coming in three variants – 30L, 46L and 65L, you are able to pick and choose depending on your needs and purpose. This makes a far cry from other backpacks that just produce one size and expect it to be perfect for you. This all-purpose backpack is great for those that value comfort, easy access and convenience. With a choice of sizing, and a choice of carry-style, it’s as customizable as you like, whilst maintaining all of its usefulness. As men, we love convenience, and we’re on the move a lot. Quite often, this involves the need to grab an airplane. Whether it’s for business, leisure or family, it’s always great to have a TSA friendly backpack making the process smoother. This extra-large backpack stays within TSA guidelines but provides a large capacity, making it ideal for a week long or weekend trip. You can pack all of your clothing and electronic gadgets without having to remove them at security, as the bag opens up in a way that keeps the process moving. One huge draw for this bag is the USB charging point and headphones hole. Keeping connected and charged is of great importance for most men, and we feel that having a backpack with it all is ideal for those long travel days where you may not be able to keep your phone charged without one. Reviewers love this bag and make sure to note that they are able to use it for multiple purposes, whether it be in the wilderness or for after-work drinks. This adds confirmation to our presupposition that you really can use this bag anywhere you’d like without looking out of place. Not only that, but you will benefit from the durable polyester fabric. It is both waterproof and heavy-duty, making it a great choice for those looking for a backpack that they can carry around outside in all weather conditions. This bag is the perfect travel companion. You don’t have to take your laptop out to pass through security, and it’s comfortable and durable enough to wear for long distances. This North Face backpack is one that is more suited for day to day activities. Many reviewers go as far as saying that it is the best backpack for everyday use, and we would go as far as agreeing. As well as having the North Face lifetime warranty, you’re safe with this investment thanks to the high-quality nylon and polyester materials that have been chosen for this bag. For those wearing their backpack for large portions of the day, you’ll be pleased to hear that this one has maximum breathability due to a carefully designed lumbar panel. The last thing you need is to be walking around with sweaty shoulders and a puddle on your back. This bag seems to go the extra mile to prevent that from happening to you. In terms of internal design, you’ve got a dedicated, highly protective laptop compartment, keeping your most valuable items as safe as houses at all times. You’re also given a huge main compartment for books, binders and/or whatever else you feel like packing for your day. There’s a further front compartment with an extra padded tablet sleeve in case you need to store any other high-value electronics. There’s an elastic bungee system that is in place for external storage. The multi-use pockets allow for quick draw cell-phone access, giving the backpack another effective purpose. One of the most impressive things about this backpack is the size – it isn’t too big. At a maximum storage capacity of 28L, it weighs less than 3lbs. This is great for an everyday bag. But it could be a problem if you’re looking at something that’s multi-purpose for a long trip. This bag gives you the satisfaction of knowing you’ve bought from one of the world’s best brands whilst providing you with the comfort of a luxurious everyday backpack. 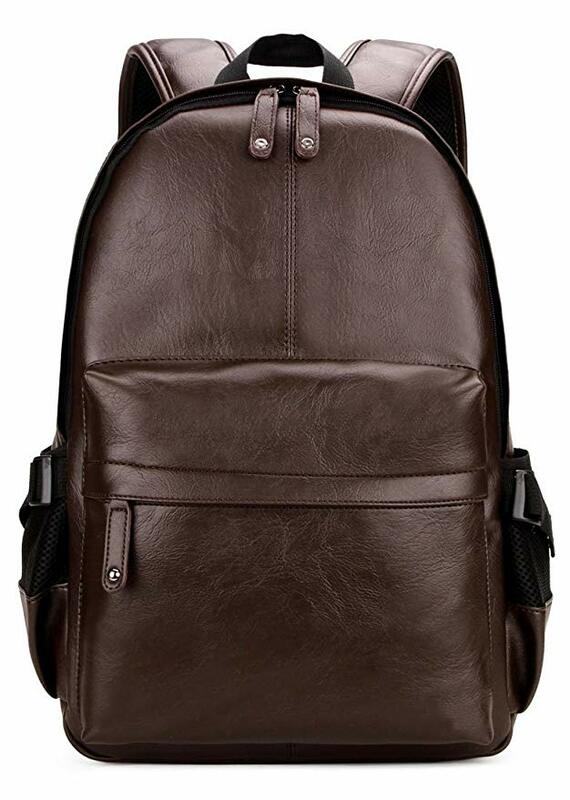 This Kenneth Cole backpack makes the most of a Colombian leather, classy and sleek design. With an all-leather material breakdown, this backpack is ideal for those of you looking for your backpack to set the precedence for style. It’s got a checkpoint friendly, E-z scan feature that complies with TSA guidelines to prevent you from needing to remove your laptop every time you go through security. With this backpack you’re able to get on your way faster and spend less time being stressed on your travels. You’re also going to benefit from the ability to store laptops up to a 15.6” screen, including all MacBook’s. For those of you with additional electronics, you can also make the most of a padded tablet pocket, that should keep all of it safe on your travels. If you’re just a man looking to store your things for work, then you may be interested in the large zip down pocket that features an extensive organizer for all of your pens, papers and notes. The worst thing is having them scattered everywhere, so make the most of an organized pocket whilst you can. If you’re looking for a practical backpack with that leather look, then this comfortable, travel-friendly backpack is ideal for you. 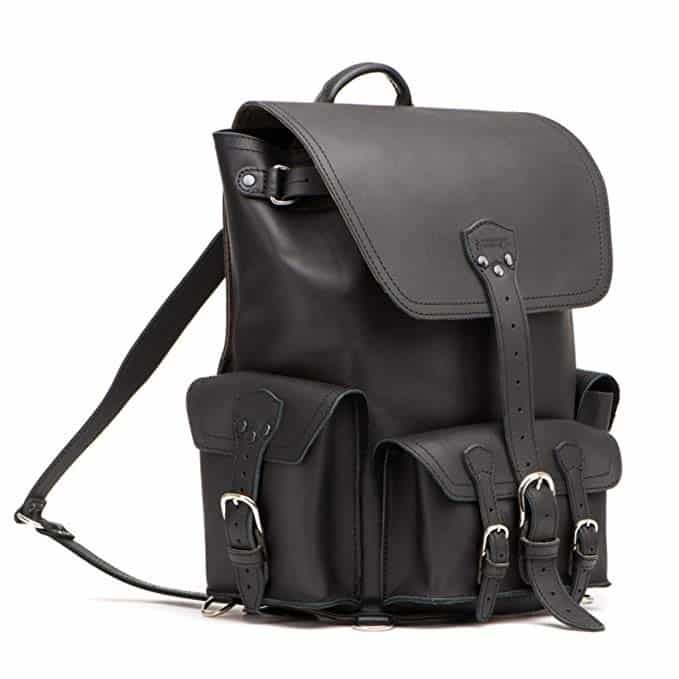 This vintage PU leather backpack by Kenox is a great budget option. Even though it’s budget, that doesn’t mean that you’re getting something that isn’t worth the time and money. The online reviews of this product say that the material is impressive. Given the price, that is arguably surprising. To expand on this, you only need to look at the padded back support and straps to notice that this at least imitates most of the more expensive backpacks in terms of comfort and quality. Not only that, but the zippers are sturdy and shouldn’t break with intensive use. To be fair, it’s a classy looking rucksack. It’s aesthetic, and very simple, perfect for all purposes. There’s enough room inside for you to put your laptop, there’s enough room to put a change of clothes, or even half of your office from work. The water bottle holders serve a good purpose, too. All in all, this backpack is one that you should consider if you really are looking for one on a tight shoestring budget. It definitely ticks the boxes that you need to look for, but it isn’t as durable as some of the greater quality ones found in a higher budget range. This is a budget backpack for men on the move and should be considered if you’re looking for something to just fill the gap. The build quality goes above and beyond the price. But, for something that’s going to last you a long time, you may want to look elsewhere. This hugely popular backpack by Oakley is named after its purpose – being suitable for absolutely everything. As the name suggests, it’s highly versatile. You’re able to use this backpack across almost any situation and for any reason. You will benefit from the side access sleeves big enough for laptops up to 17”, and you’ll love the top media pocket that gives you great protective storage. As always with Oakley, you’ll be getting a build of high quality. The shoulder straps are luxurious and the back itself looks incredibly stylish – you have a choice of 3 colors and they all look very good. It’s made with an abrasion-resistant fabric that will not tear or break, and will hold up even with intensive use. What really sets this backpack apart is that it’s thought about what men value the most – convenience. It has a dedicated shoe compartment at the back that means you don’t need to be careful about where you place them. This backpack is the conjunction between style, usefulness and toughness that is hard to ignore. If you’re looking for a backpack that will never let you down, regardless of the situation, then you’ll probably love this one. 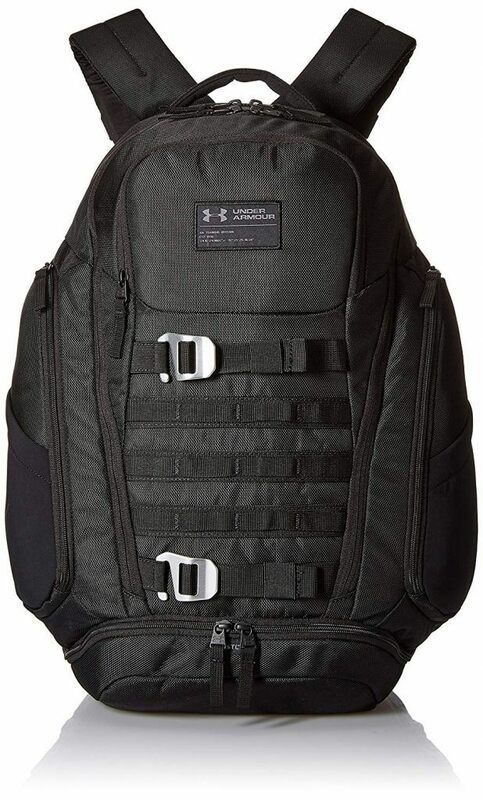 Under Armour are internationally known for their comfortable clothing and sportswear, and their backpacks are no different. This durable polyester backpack will survive intensive use for many years, including water resistance. A tough, abrasion-resistant nylon bottom panel just adds to the durability. In terms of comfort, you’ve got charged cushioning in the back panel, giving your spine the luxury treatment it deserves. If you’re on the move in the airport, this backpack is easily accessible and meets all TSA guidelines. The laptop sleeve lays flat and does not need to be removed at security, streamlining the process and making your life considerably easier. The design of the bag is striking, it looks great, and all of the color options are ideal for a man on the move. Most men will be glad to know that you’re getting a whole bunch of accessories with this backpack, including a large laundry pocket at the bottom of the bag to separate the old from the new, and drinks pockets to store your beers (or water). This backpack brings no exception to Under Armours reputation as a great brand. It is a stylish and practical backpack that you will love to carry around on a daily basis. The Carhartt brand is well known by men across the world. 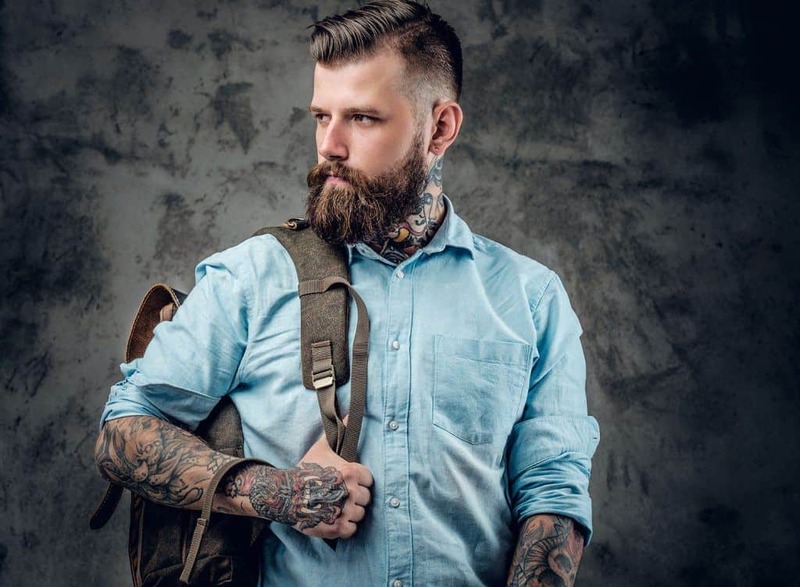 Making its name for producing highly durable clothing, the backpacks followed in similar fashion. Made from synthetic material that is both abrasion and water resistant, we really like the look of this one. For us, it’s the best men’s backpack for work. Everything about it has been designed with the working man in mind. For example, they have provided a dedicated padded computer compartment, fitting up to a 17 inch laptop. It is likely that your laptop will be smaller than 17 inches, so you won’t have a problem with fitting it into your bag. The other compartments are perfect for everything else you need in the office – from notebooks to pens. We also think that this backpack looks great. If you ever decide to swap the office for the alps, you won’t look out of place. Win-win. Carhartt have made a reputation on creating durable goods, and this backpack will definitely get your monies worth. You’ll be getting style, quality and the brand name all in one. This budget, unisex Matein backpack is made with being on the move in mind. There’s loads of storage, with enough pockets for daily necessities and luxuries, and you’ll even be treated with some built-in USB chargers that are clearly made for the men that are busy and racing around. An original addition to this backpack is an anti-theft pocket. This will protect your valuable items from any unwanted attention. You’ll also be able to use the lockable zipper head, so it’s all locked up ready for airport travel. The fact that it’s unisex is a welcome change. 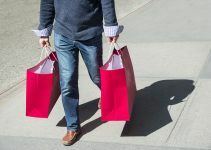 So long as you don’t need them at exactly the same time, it is possible to share your backpack with your significant other and get double the use from one investment. Reviews are genuinely great across the board. Given the price point, you may genuinely struggle to find a backpack better for travel. This unisex, travel backpack is made for those with a lower budget, yet it could actually be suitable for someone with a higher budget, it looks that good. This 100% full-grain boot leather backpack is crafted from one of the best and most durable materials out there. It’s also one of the most expensive backpacks out there. But if you can afford a large budget, then this is perfect for you. It is named as one of the best travel backpacks. It is designed for comfort with lower back padding, has 3 outside pockets as well as inner pockets for laptops, cameras and the like. All backpacks come with a 100 year warranty. Their slogan is “They’ll Fight Over It When You’re Dead”, so it’s at least comforting that they’re expecting your investment to last that long. Many of the existing reviewers rave about the product, saying that the quality is second to none. To be honest, we expect nothing else from a backpack made from 100% full-grain boot leather. If you’re lucky enough to be hunting for a luxury budget backpack, then this is an excellent choice. It looks great, it’s made from genuine, authentic leather, and the target market is a men that moves. For men especially, packing a backpack is all about accessibility and speed. We’re all guilty of just shoving as much as we can into the open pockets as we can, but it doesn’t pay off too well. Well, waking up the morning after a travel day with a backpack full of creased t shirts and chinos don’t make for the greatest start to your trip. Instead, you should learn how to pack properly, and efficiently. Packing for hiking is all about maximizing space, and careful weight distribution, to ensure that you’re going to be comfortable the entire time. You want to pack everything logically, so that you can just reach in and grab the outfit / item that you need at any given time. When packing your backpack for work, you want to start at the very beginning. First of all, you’ll look at packing all of your things that are actually needed at work. This’ll span from laptop, to notepads and pens. Once you have packed all of this securely, you can begin to pack the additional extras. 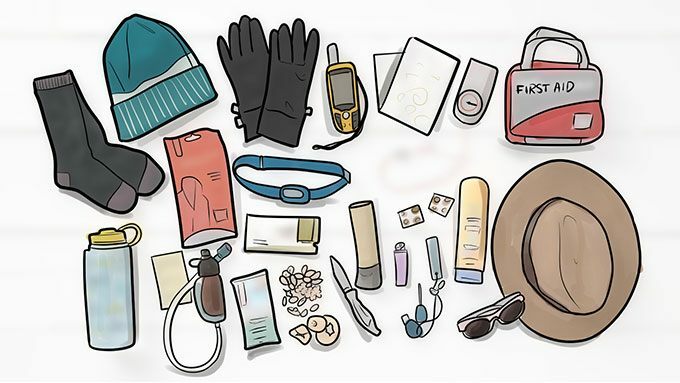 Firstly, think about whether you’ll need any change of clothes or extra layers, and pack those. If not, then perhaps think about what you’ll be doing after work. If you’re going out for drinks with your girlfriend, you probably need a spare shirt and a bottle of cologne so that you’re ready for it. For travel, it is all about being efficient with the space that you’ve got. It’s usually limited with a backpack, but you can definitely make the most of it with some careful planning and analytical thinking. Let’s just think about it: By putting your shoes in first, and rolling your clothes up tight, you’re making the most of the limited available space. 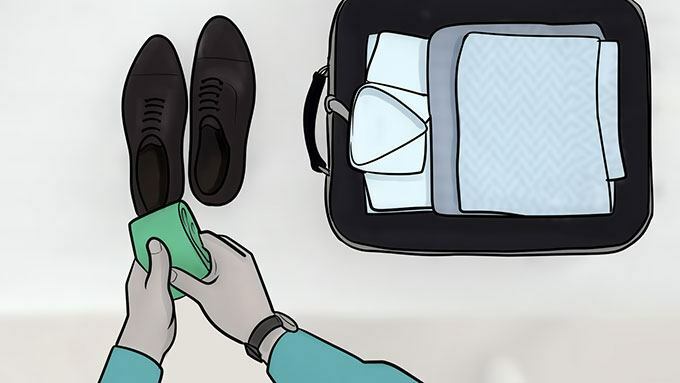 However, if you’re on a business trip, then maybe you’ll just want to focus on packing the business essentials before moving onto your clothing. A backpack and a messenger bag have very subtle differences, yet they actually look completely different. You’ll be able to tell the difference very easily by looking at the straps. We’ll get into that now. Backpacks always have two straps. That is their distinguishing feature. This is so that it can be worn evenly over your back, and remain comfortable in the process. The sole purpose for a backpack is so that all of your things can be carried with you whilst maintaining a regular posture. The material, as we discussed earlier, can greatly differ depending on the rucksack. Some will be made from leather, but a majority are made from nylon and polyester combinations. This is something you’ll typically not find with messenger bags. Thirdly, you’ll be able to find backpacks in any design, and for any purpose. This is what makes them so appealing for so many men. Messenger bags only have a single strap. This is so that it can be worn over the shoulder, and sit freely by the side of the body. Simply put, a messenger bag is much more suited for business wear. You wouldn’t be taking a messenger bag hiking, for example, it’d be too uncomfortable and too focused on style to make sense. Traditionally, messenger bags come in very few colors, and in a leather material combination. We chose the best backpacks by going back to the factors we considered earlier, and ensuring that we met all of the criteria. For example, we knew what we were looking out for in terms of quality, material and durability, and made sure that we found backpacks that ticked all of the boxes. Another key example is the price consideration. We are fully aware that not everyone has the same budget, so we wanted to give a wide variety so that everyone reading this article is able to leave feeling like they’ve gotten themselves a great deal. Backpacks will be forever underrated by men on the move. They are poorly treated and taken for granted, but they are the backbone of a successful trip. Without a good backpack, you’d have your things all over the floor. However, there are hundreds, if not thousands to choose from. With this in mind, we really wanted to make sure that our readers could shop from the very best backpacks. We have provided some truly excellent choices for you, and we feel that you’ll be happy with any of them. We’d love to hear from you with your thoughts. Have you ever owned one of the backpacks that made our list? Or do you currently own a different backpack that you believe deserves to be there? Let us know.